Two of the four sub species of Asian elephants are found in Indonesia. The Sumatran elephant (Elephas maximus sumatranus) is only found on the island of Sumatra and was originally thought to be the smallest of the Asian elephants. However, it was discovered in 2005 that the Borneo or pygmy elephant (Elephas maximus borneensis) was a separate species from those found on the Asian mainland. 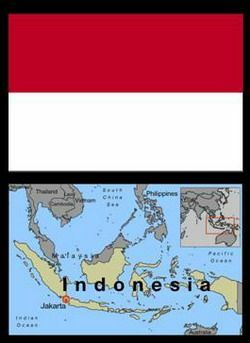 The Borneo sub species are found in the Indonesian province of Kalimantan, which shares the same island with Borneo. Historically the numbers of wild elephants in Indonesia have been underestimated. The provision of tracts of largely uncharted forest on both Sumatra and Kalimantan led to a lack of awareness of elephants. Since the mid 20th century, there has been a substantial immigration to Sumatra and significant deforestation as a result. Contact and conflict with elephants increased and as a result, population figures were revised upwards. Habitat Loss – The wild forests of Indonesia are being converted for commercial use at an unprecedented and unsustainable rate. Human-Elephant Conflict – Deforestation and the accompanying habitat shrinkage have led to major conflict with elephants in Sumatra. Elephants raid food crops, destroy rubber, palm oil and coconut plantations and even more seriously, are increasingly responsible for the destruction of villages and a growing number of human deaths. Poaching – Much of the alleged poaching in Indonesia is actually more attributable to farmers protecting their crops and killing elephants in frustration. The response of the Indonesian government to these growing problems has been highly unusual. Originally it was proposed to cull the problem elephants by shooting. However, an outcry from the international and domestic public led these plans to be shelved. Instead, the authorities have been capturing and either relocating or domesticating wild elephants. Most of the elephants are being held in Elephant Conservation Centres, but these are filled beyond capacity and are overcrowded. This policy has now halted, but the problems of human-elephant conflict still remain on a massive scale. Unlike many of the Asian elephants range states, there is not a deep cultural attachment to the elephant in Sumatra and little sympathy for the future of the animals in political circles or in communities which regularly come into contact with elephants. 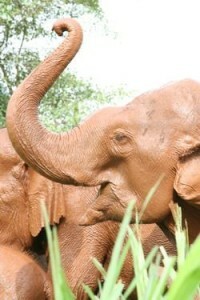 This makes the task of conserving Sumatra’s unique species of elephants that much harder. Not much is known about Kalimantan’s elephants. They live in the extreme north of the province and there is known to be considerable cross border migration into Borneo. Historically, there was a tradition of domesticated elephants on Sumatra focussed on the courts of the Royal Sultans. But with the coming of the colonial powers, the tradition declined and died out entirely in the 19th century. Despite having no recent tradition of domestication, in 1985, the Indonesian government resorted to a policy of capturing and training elephants in response to increasing human-elephant conflict brought about by deforestation. The policy involved the establishment of six Elephant Training Centres which were later renamed Elephant Conservation Centres (ECC’s). The centres rapidly grew in size and by the end of 2000, were operating at capacity with more than 350 elephants in residence. Many conservation and welfare groups have great reservations concerning this strategy. 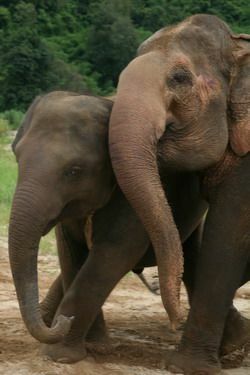 The ECC’s readily admit that the standard of mahouts is quite poor and that they have no real bond with the elephants. Many people have expressed reservation about the methods used in the camps and there are known to be problems with overcrowding. The government is also known to be concerned about the large cost of maintaining the ECC’s, which use up the majority of the budget for elephant conservation. One answer might be for the ECC elephants to be utilised by the tourist industry, but it appears that poor standards of training and mahoutship may subject potential tourists to an unacceptable level of risk. The current situation and future for Sumatra’s elephants is particularly bleak. The island has undergone rapid change in the 25 years and this has had a catastrophic effect on the habitat of the wild elephant. Human-elephant conflict is a major issue and the elephant appears to have few friends. The policy of capturing and domesticating elephants also appears to have failed. A number of conservation groups are working in Indonesia and it is hoped that they will be able to have a positive effect on what is a very depressing situation.